China’s foreign exchange reserves grew for the third consecutive month in January, up 0.5% from December to $3.088 trillion, official data showed Monday. The January climb of $15.2 billion was a greater increase than December’s $11 billion and November’s $8.6 billion, according to data from the People’s Bank of China (PBOC). Higher financial asset prices and movements in exchange rates were the main drivers of January’s pick-up, said Wang Chunying, spokesperson of the State Administration of Foreign Exchange. Wang said the Chinese foreign exchange market maintained a basic equilibrium and cross-border capital flows were stable in January. 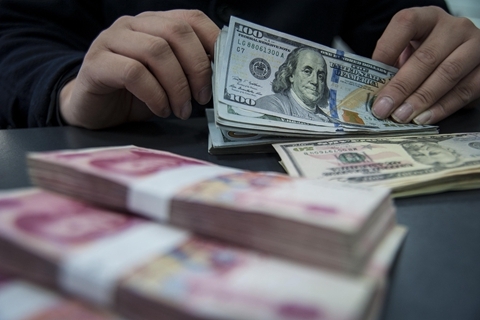 The yuan, also known as the renminbi, has been facing less downward pressure as trade tensions between China and the U.S. ease and U.S. bond yields fall, according to a research note published by Capital Economics on Monday. “The PBOC appears to have intervened little in forex markets last month, suggesting that the renminbi is not facing much downward pressure at present. However, with the economy likely to slow and interest rates likely to fall further over coming months, pressure is likely to return later this year,” said Capital Economics.